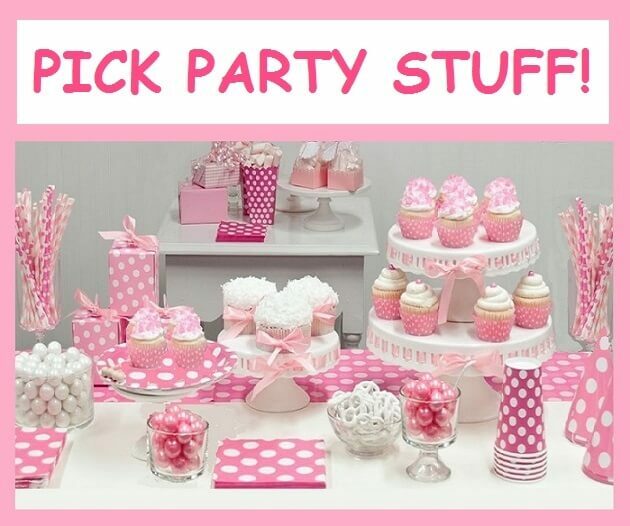 Pick Cool Stuff For YOUR Party! Instead of posting an advice letter here in my ASK NIKKI column, I’ve decided to share another fun PARTY activity. 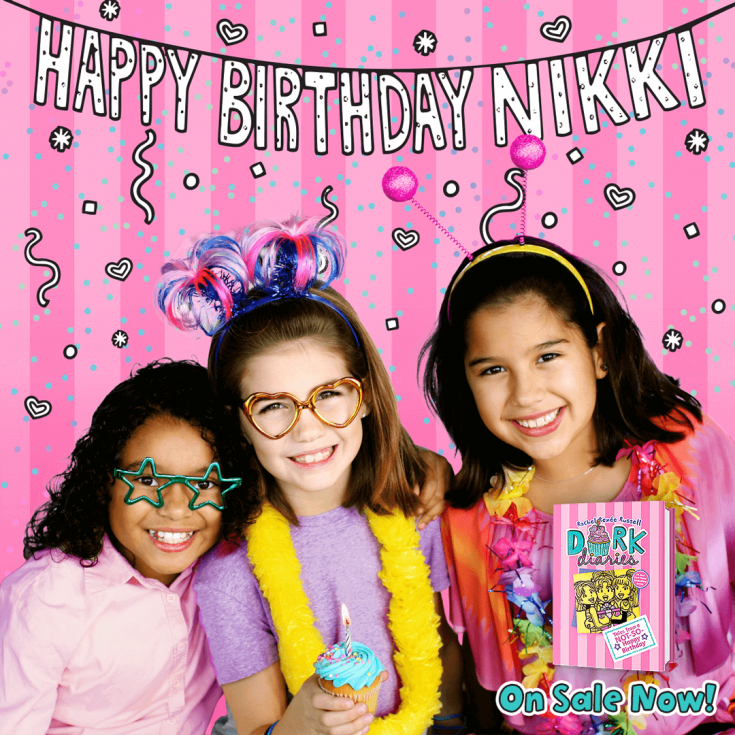 It’s to celebrate the release of DORK DIARIES BOOK 13: TALES FROM A NOT-SO-HAPPY BIRTHDAY. So far, you’ve made an exciting celeb guest list, voted on my fabulous birthday cake, and picked out YOUR awesome party theme. Well, TODAY, you get to select fun and colorful PARTY STUFF! You know, party supplies, like themed tableware, balloons, decorations, pinatas and even MORE. And based on your personal choices, I’ll tell you what your friends REALLY think about YOU! Like, what they are saying about you BEHIND YOUR BACK! Are you SURE you want to know? Click on the “PICK YOUR PARTY STUFF!” image below to take my cool, new quiz! Be sure to tell me your FAVORITE items you selected in the comments section below. UNICORNS ARE THE BEST TO INFINITY AND BEYOND!!!!!!!!!!!!!!!!!!!!!!!!!!!!!!!!!!!!!!!!!!!!!!!!!!!!!!!!!!!!!!!!!!!!!!!!!!!!!!!!!!!!!!!!!!!!! I love taking quizzes and this one was really fun! Your Friends Think You Are…SMART AND SOPHISTICATED! If there’s ever a situation that needs commanding, you’re the natural leader to step up! You know how to take control, but also how to have fun while doing it. You’re very goal-oriented and you have a list of things that you want to achieve in life (even if it’s just taking out the trash)! Your friends admire your brains and attention to detail and consider you a hard worker and perfectionist. When it comes to your birthday celebration, your friends will be talking about it for the rest of the school year! NOT!!! my friends think im a goofball! and i am! My friends think I am fun and exciting, and that is exactly what I am! my friends think i am warm and friendly! Okay, did you give them the right directions?! cupcakes but just not with a lot of icing. I had to do this quiz again because i love it so much and its really fun. Will you suggest some decorative ideas for my birthday? THE CUPCAKE I ALWAYS ADD THE CUPCAKE!But anyway If I GET INVITED warning:I may eat all the cupcakes heh But good thinking tho Have a great day and DORKS FOREVER! I love all these ideas (especially the sweet treats) you are so sweet fun caring and you think of others before yourself. This quiz is so cool! Happy Birthday Nikki!!! I thank that for a party everyone should drees up as someone. Also we should haves all types of games#fun game.FYI all types of cupcakes and ice cream. And have a movie with a lot of candy chips pizza popcorn pretzels# I mean a lot of snacks /drink. And finally a goodie bag with a lot of thinks like candy toys and cool things.